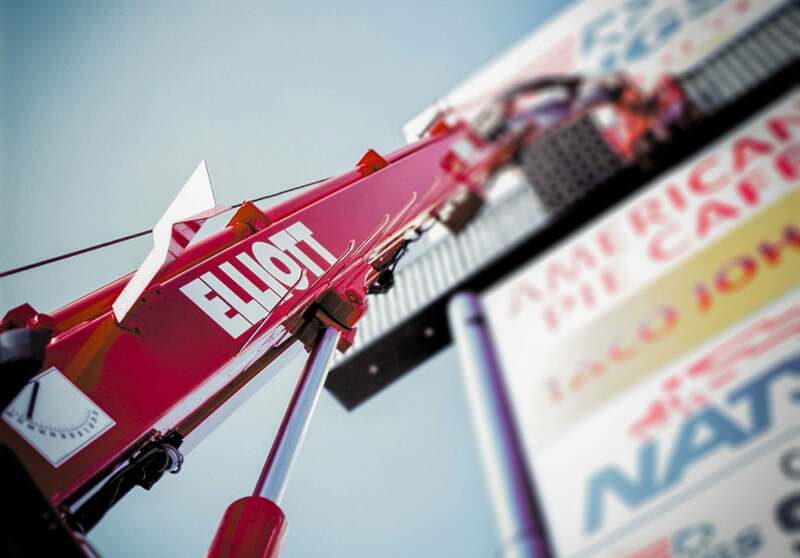 HiReach aerial work platforms from Elliott Equipment Company do so much more than simply get crews off the ground. Our full line of lifting equipment is known for its safety, stability and customizability. A time-tested list of standard features can be complemented by the optional features your operation needs to get the job done. 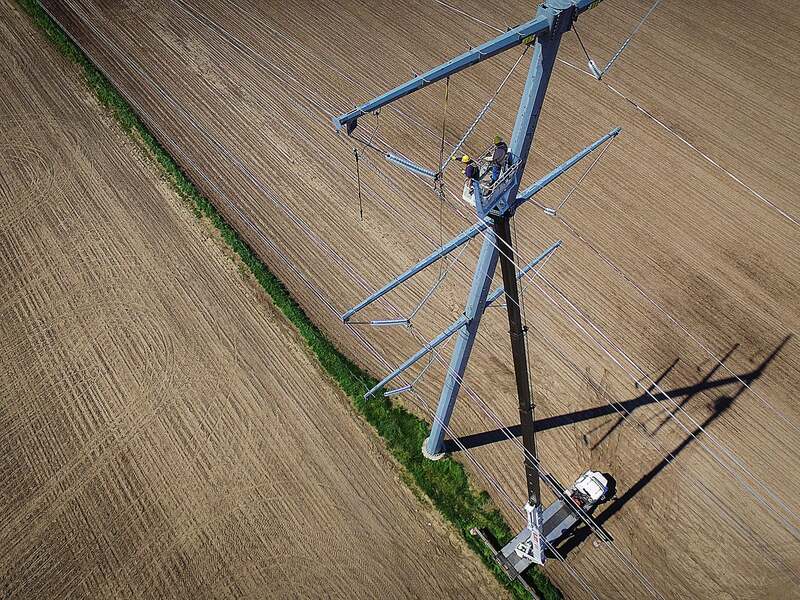 HiReach truck-mounted aerial work platforms serve as multi-functional tools on an incredible range of applications, letting you get more done with less equipment. These ANSI A92.2-compliant vehicles have material handling capacities up to 15 tons and work at heights from 45 to 215 feet. 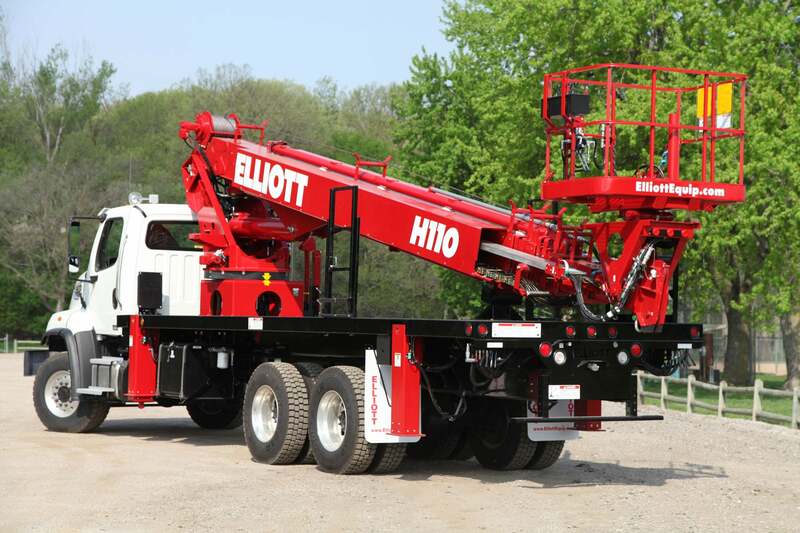 For operators, a spacious work platform and incredible side reach provide optimal range for conducting work. Smooth, proportional upper controls allow for precise movements and optimal machine control, without sudden or jerky movements. 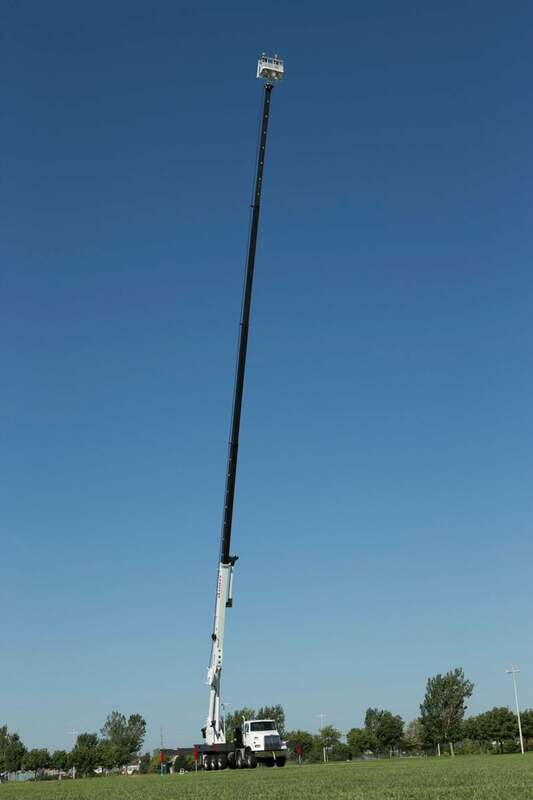 Our fully hydraulic, cable-and-chain-free boom extends reliably, smoothly and with reduced maintenance. A point-and-shoot telescopic design makes for easy operation without tailswing. These features, in addition to a continuous swivel system and oversized rotation bearing and gearbox, help to ensure ease-of-use and a long service life. A proven lineup of standard features plus an extensive menu of optional add-ons make HiReach aerial work platforms some of the safest, toughest, most versatile and feature-packed service vehicles on the market. Wide-ranging functionality paired with heavy-duty design means superior performance over an extended service life.